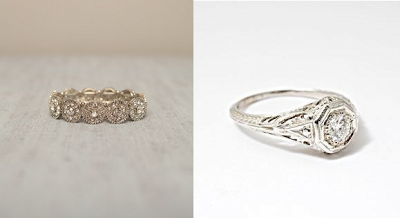 Picking out which Art Deco ring I wish were mine. Which of these two appeals to you more? Oxidised Platinum + White Gold + Circular Diamonds = Be Still My Beating Heart.